Once a year, Wichita’s Bradley Fair becomes more than a shopping and dining destination. It transforms into a world-class alfresco art gallery. Invited artists from across the United States set up booths along the Bradley Fair Parkway, the street separating the shopping area from the nearby residential and office complex. For three days, original fine-art works in a wide variety of media are available to view and purchase, and a full slate of art-inspired entertainment and activities take place. 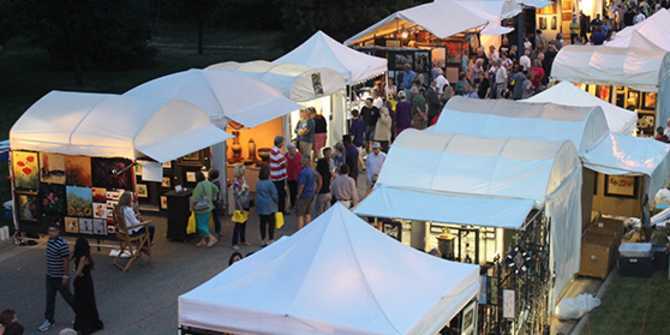 The seventh-annual Autumn & Art is Sept. 16-18. The juried art event is free and open to the public from 6 to 9 p.m. Friday, 10 a.m. to 7 p.m. Saturday and 10 a.m. to 5 p.m. Sunday. Each day offers art, art-related activities for all ages, entertainment and food. Organizers are able to keep the event free with the help of local business sponsors as well as patrons, individuals who pay $100 per person to support the event. Patrons receive perks throughout the weekend, from reserved parking to complimentary beverages and an exclusive opening-night party. The 2016 show features works by 99 artists in 14 media including ceramics, digital, drawing, fiber, glass, graphics and printmaking, jewelry, metalworks, painting, photography, sculpture, wood, two-dimensional mixed media and three-dimensional mixed media. A jury of accomplished artists and art-supporters selected the artists from more than 170 submissions. One-third of the invited artists are from Kansas, the remainder are from across the country representing 23 states. See the list of this year&apos;s artists. Look for Artie, the art-collecting squirrel, to find activities geared for kids. Artie’s Art Studio offers free hands-on art projects directed by arts educators on Saturday and Sunday for the duration of the fair hours. At 11:30 a.m. both days, the studio will host story time. From noon to 5 p.m. on Sunday, Artie’s Clubhouse will open. It’s a kids-only gallery for young collectors-in-training with artwork priced for a kid’s budget. 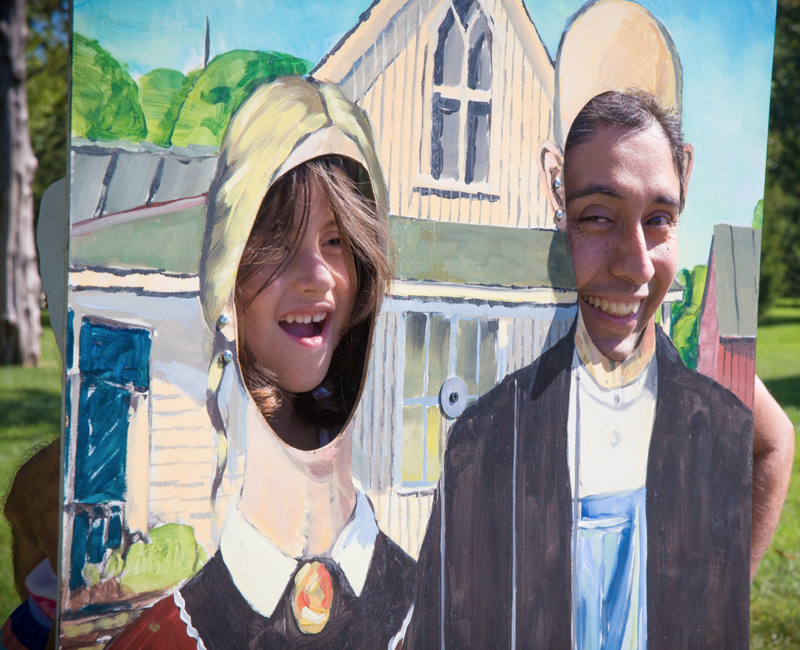 Throughout the parkway, you’ll find Artie’s Masterpiece Games: free games and photo opportunities aimed at introducing kids to classic artworks. In addition to the masterpiece-themed games, you’ll also find free lawn games throughout the parkway, including oversized jenga, chess and dominos. All ages will enjoy the art demonstrations and live entertainment scheduled throughout the festival. 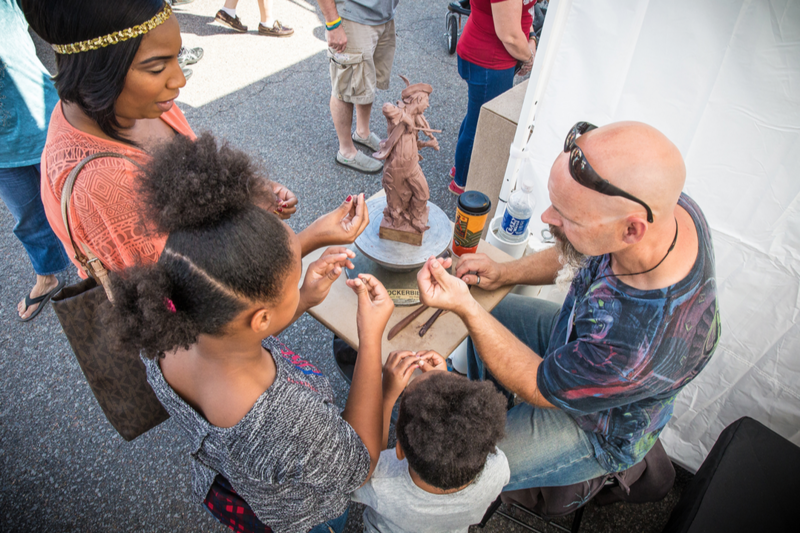 Check the demonstration tent on-site to see the day’s schedule and then stop by to see artists throwing pottery, painting or sculpting clay. The Legend Senior Living Stage has a steady stream of performers, from musicians to dancers and even performances by Opera Kansas and Wichita Shakespeare Company. You can also participate in a community art project on Saturday and Sunday. Help decorate libraries that will be used for the Little Free Library movement. You can also pick up templates and tips to build your own at home. A new adult coloring activity is scheduled from 10:30 a.m. to noon on Saturday in the Culinary Pavilion. There will even be guest instructors there to help spark your creativity or teach a new technique. 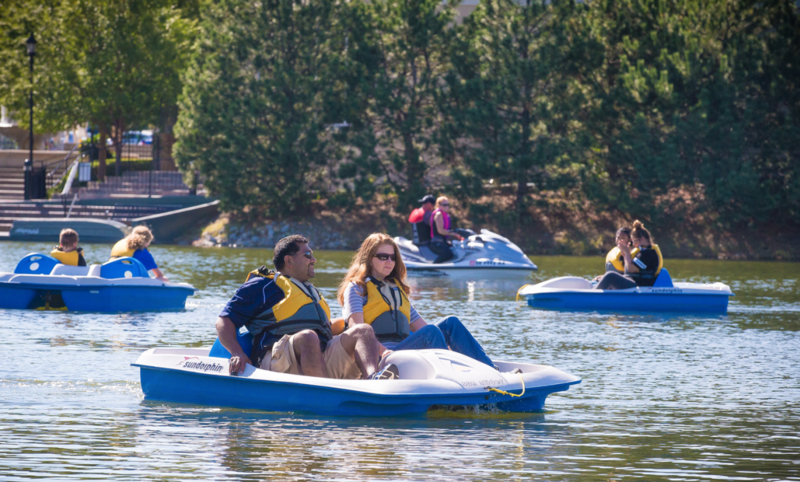 If you’re hoping for physical exercise, the paddle boats on Bradley Fair Lake are back. For $5 per person, you can paddle around for 15 minutes on Saturday and Sunday. Head to the Culinary Pavilion at Autumn & Art for edible art! Here you can purchase a bite to eat throughout the fair’s hours on Saturday and Sunday from three Bradley Fair restaurants: On the Border, Jason’s Deli and Outback Steakhouse. From 10 a.m. to noon on Saturday and Sunday, drink your art during the Art of Bloody Marys, a new event for 2016. Create your own masterpiece at this build-your-own-bar. Wine, beer and soft drinks are available at cash bars along the parkway so you can sip while you enjoy the art, live music and other entertainment. Another new element at this year’s fair is the Chill & Charge Lounge, just south of the Culinary Pavilion. It’s open the same hours of the event and has seating areas, phone chargers and a pool table. From 6 to 9 p.m. on Friday, there will be a Cigar Bar next to the lounge. See Visit Wichita’s website for a full listing of attractions and upcoming events or download the free Visit Wichita mobile app available for Apple or Android smartphones and tablets.